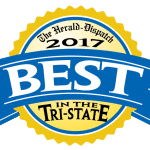 Woodlands Retirement Community is proud to be the premier Continuing Care Retirement Community in the WV-OH-KY Tri-State. Most known as an active Independent Living community, Woodlands is also privileged to support a thriving and comfortable residential environment for seniors who need support with activities of daily living. Our Healthcare Division meets those needs with services that include assisted living, memory support and respite care, and we are proud to report that it just passed its fourth straight annual state survey with zero deficiencies. How is Woodlands Healthcare Regulated? Woodlands Healthcare Division is overseen by the West Virginia Office of Health Facility Licensure and Certification (OHFLC), which is part of the Department of Health and Human Resources and Office of Inspector General. Our Healthcare Division is licensed as an Assisted Living facility, and as such, we are regulated by state and federal rules, OSHA and CDC guidelines. We have procedures in place to follow and maintain all guidelines. We also provide ongoing training to keep all Healthcare Division employees current on skills, procedures, and regulatory processes. This latest state survey was especially difficult as it encompassed surveying practices with our new electronic medical records system. We were audited on both our previous paper charts and our computer records. The success of our Healthcare Division is directly attributable to the division’s leadership and employees who execute their duties with care and diligence on a daily basis. Ours is a team that pulls together and works together to continually improve daily processes with the goal of providing care of the highest quality while making Woodlands always feel like home for the residents we are privileged to serve.